Custard tarts have long been a favourite pastry in the British Isles, and are also widely enjoyed in Australia and New Zealand. They are often called egg custard tarts or simply egg custards to distinguish the egg-based filling from the commonly-served cornflour-based custards. 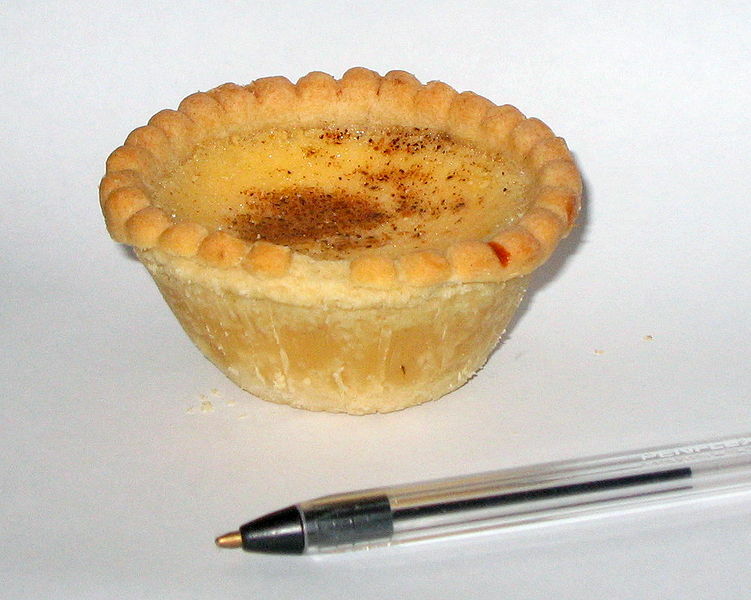 Left: An egg custard tart. Custard tarts consist of an outer pastry crust, filled with egg custard and baked. Similar products also exist in other Western European cuisines, and around the world (see, for example, Pastel de nata or Hong Kong egg tart).